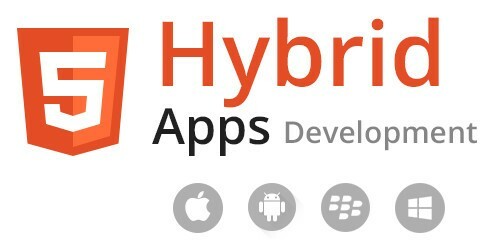 However, since they are one of the latest entrants to the hybrid development market, their development tools have not been as mature as some of the other mobile development frameworks currently on the market. That is changing with the recent release of SideKick. SideKick is a GUI tool for Nativescript that is free and comes with a number of intuitive features that will certainly help speed up development. For mobile developers, one of the more frustrating aspects of mobile development is having to use the right desktop environment to build your apps. SideKick has eliminated that frustration by partnering with Progress to offer options for developers to build and test their code online. They have very tight integration within SideKick that lets you quickly build and test IOS and Android applications. This also includes online emulators, so that you can test your apps against a variety of mobile devices. With the cloud build feature, those days are numbered. 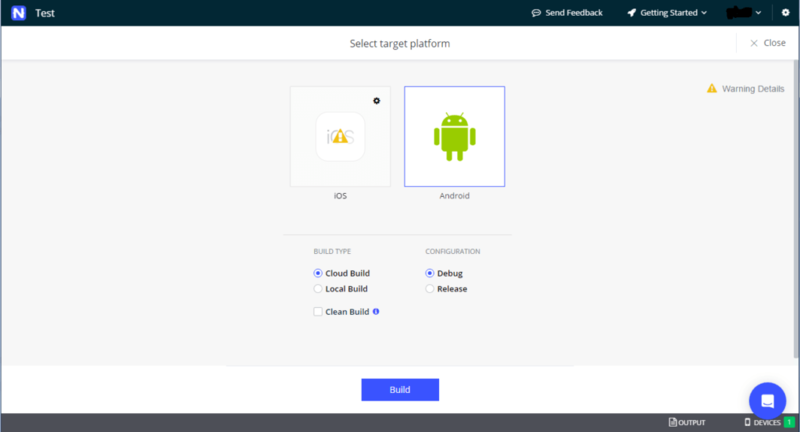 Whether you are using a Mac or PC you can use CloudBuild to build your application without having to worry about XCode or Java installed locally. NativeScript now offers a number of pre-built templates that you can use to quickly create a prototype or even a full fledged application. The templates offer everything you need to get started, such as a navigation menu, list and detail pages. While these are not the answer for building complete applications, they are absolutely useful if you want to quickly build out a prototype to test out your ideas. 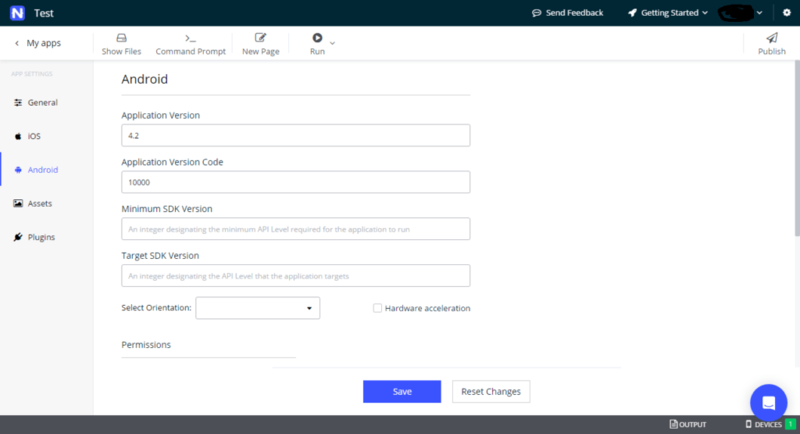 Since many of the application extensions with NativeScript, such as Camera control are controlled via plugins, managing both the installation and update of the plugins is extremely important. SideKick has greatly simplified that process by provided a user friendly GUI to manage the installation, uninstall and update of all plugins. Every mobile project has a lot of media assets. This is specially true when dealing with hybrid development tools, where you need custom images per device. 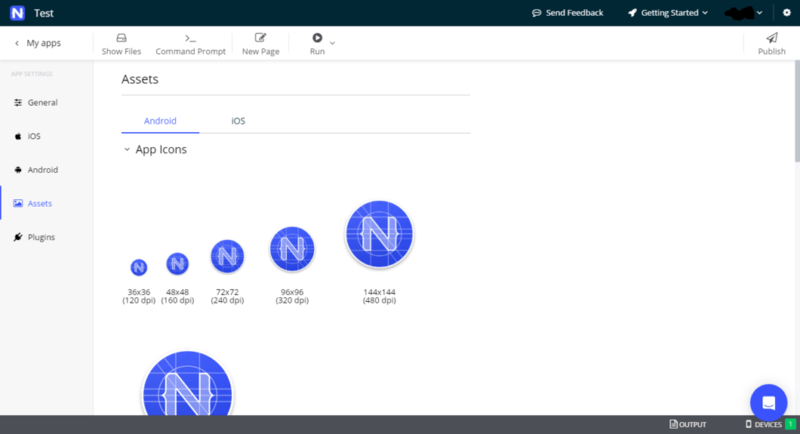 With SideKick Nativescript has greatly simplified this process of managing these assets in one spot. You can now quickly get access and visually see all your assets in one central location. Overall SideKick is a great addition for NativeScript developers. However, keep in mind that this is Version 1 product, as a result there are still a number of issues/bugs that are being addressed.